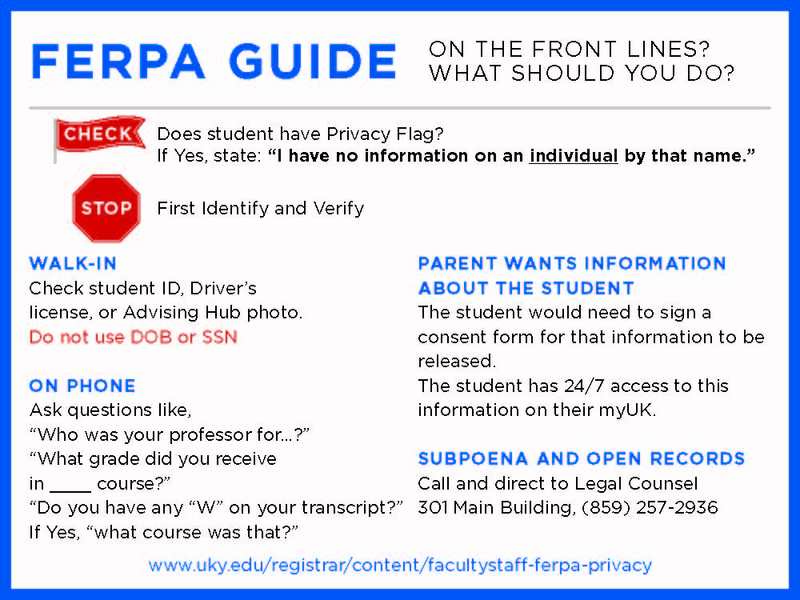 The University of Kentucky, in compliance with the Family Educational Rights and Privacy Act (FERPA), is responsible for monitoring access to and release of information from student education records. 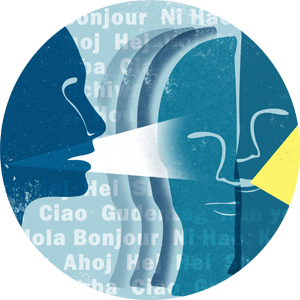 Staff and faculty with access to student education records are legally responsible for protecting the privacy of the student by using information only for legitimate educational reasons to instruct, advise, or otherwise assist students. FERPA also assures certain rights to students at the university regarding their education records. These rights do not transfer to parents, guardians, spouses or other family members without the specific written permission of the student. See http://www.uky.edu/Registrar/ferpa.htm for more information. Education records are those records directly related to a student maintained by the University or by a party acting for the university. Only those records defined as “Directory Information” may be released without the express written permission of the student. Directory information includes the student name, local and permanent addresses, e-mail addresses, telephone numbers, class level and type, enrollment status (e.g. full-time or part-time), academic major and/or minor, dates of attendance, the fact that the student is or has ever been enrolled, total earned credit hours, degrees and certificates awarded, honors awarded, participation in officially recognized activities. No other information contained in a student’s educational records may be released to persons or organizations without the student’s prior written approval. A chart below lists information that is frequently requested from student education records and indicates whether or not it is Directory Information. The following table lists student information and whether they are classified as directory information.